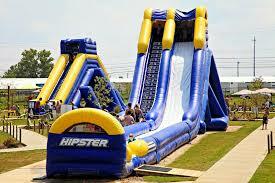 "We Have Tennessee's Tallest Water Slides"
"We Have The Largest Selection Of Water Slides Around"
32' Slip-N-Slide. 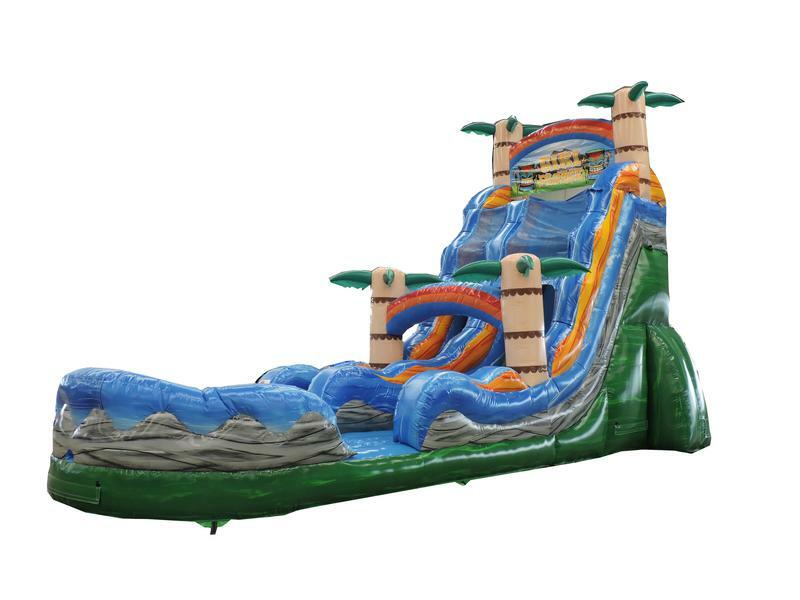 Run and slide to the end of this huge Slip-N-Slide. Fun for all ages. Four players at a time can launch water ballons at each other. 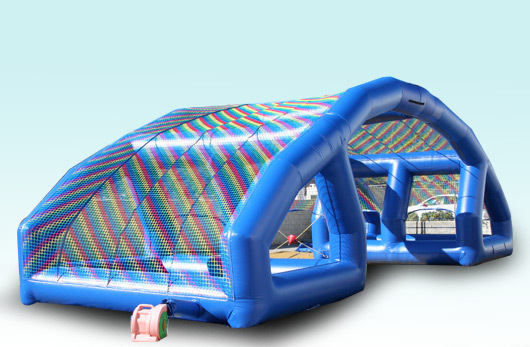 This is the perfect summer time fun game. 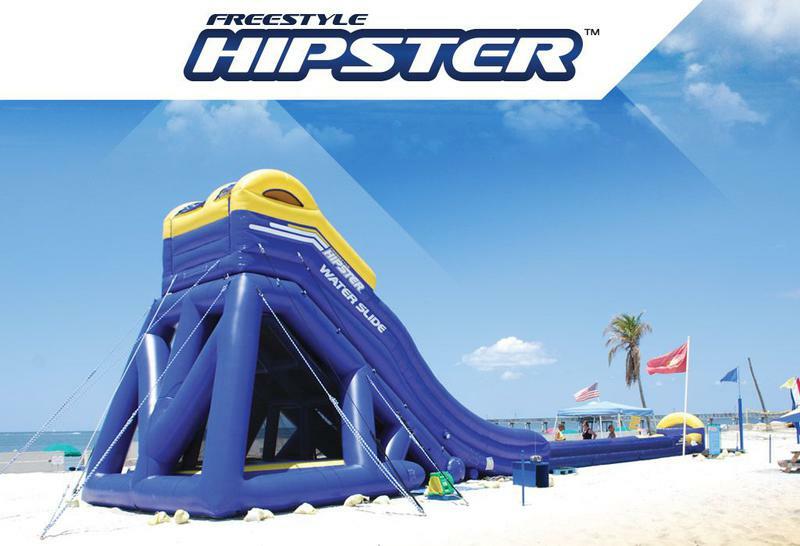 At 30' tall & 90' long the Hipster Water Slide towers above the rest in comparison. If your looking for an eye catching crowd pleaser this is it. 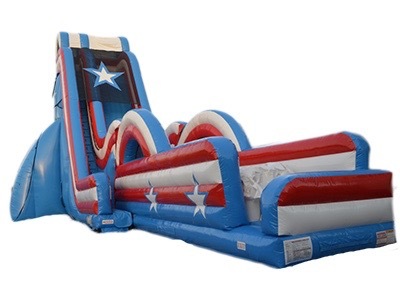 You'll accelerate all the way down to the end of this 90' slide, and to top it off there's a jumper underneath the slide. 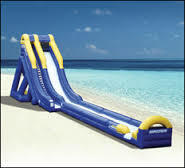 "We Have The Tallest Water Slides In The South"
At 35' tall & 110' long the Log Jammer Water Slide towers above the rest as Tennessee's tallest and longest inflatable water slide. 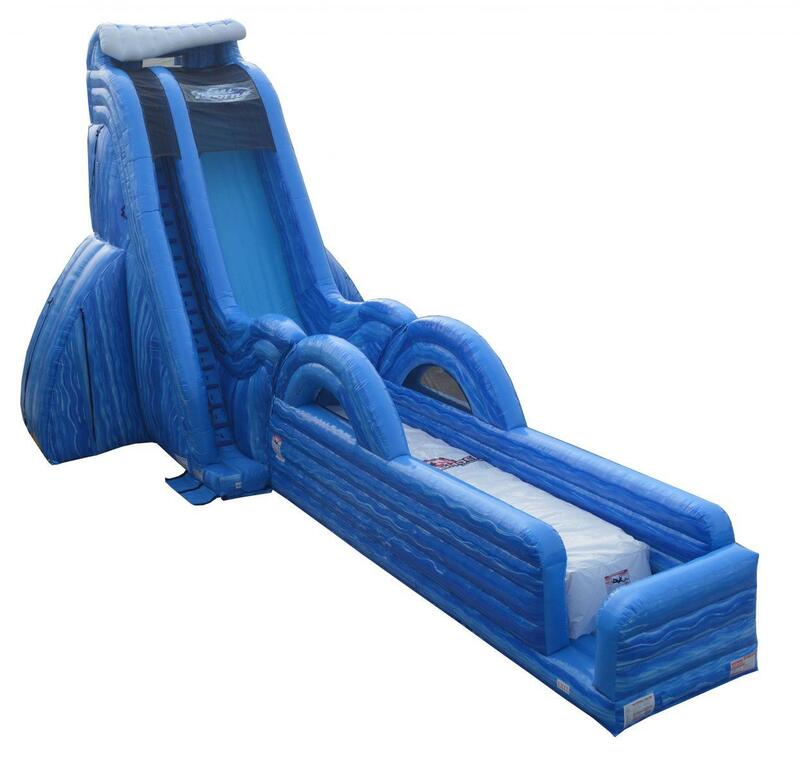 27' Tall slide has a built in bounce house under it ! 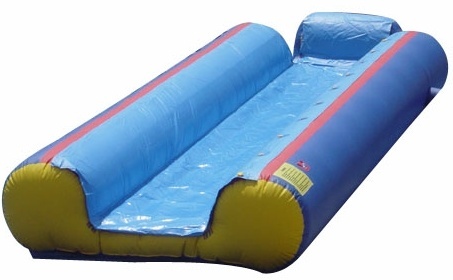 This 40' tall and 70' long slide accelerates you down and launches you into the air where you land on an airbag. 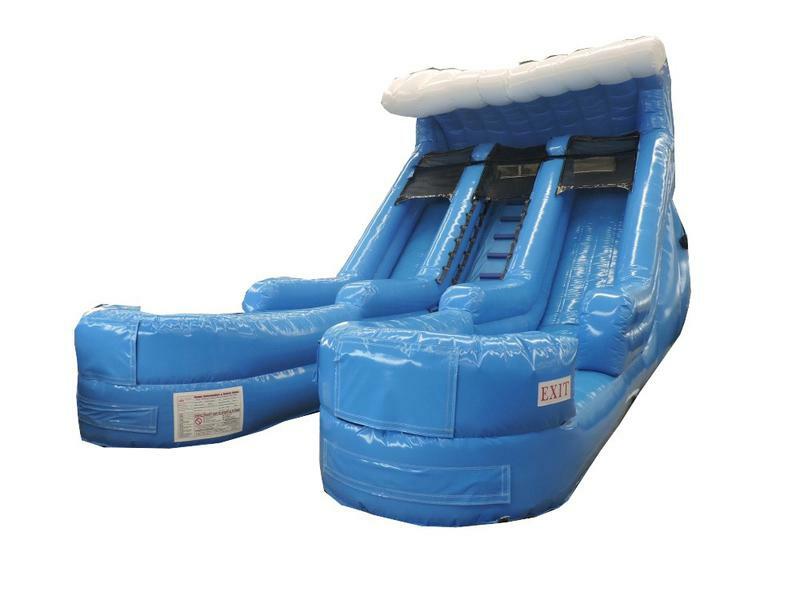 Stands 22' tall and holds a pool of water at the end for a splash landing. This is one of our most popular slides. 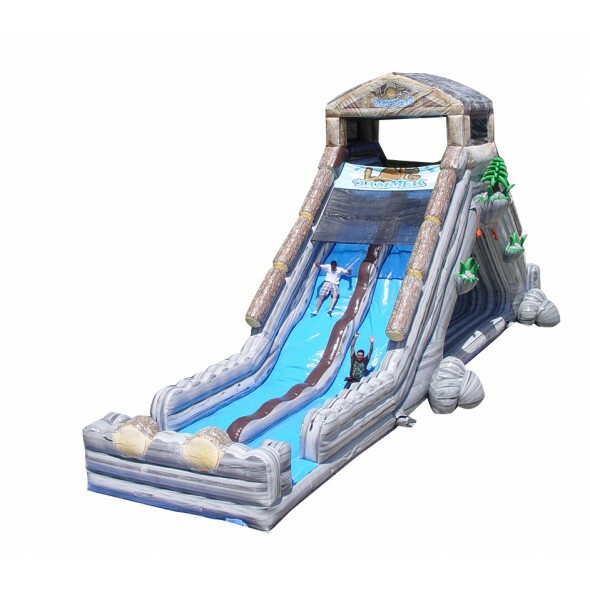 Two lanes of wet waterslide Fun!